The next Parents Association Meeting will take place in the school on Tuesday night January 16th at 8p.m. All are welcome. The next Parents Association Meeting will take place in the school on Monday night January 23rd at 8p.m. The Parents Association makes a valuable contribution to the life of the school by supporting the school and organising a range of events during the school year. To ensure the Association continues, we need more parents to become involved by attending monthly meetings (max 1 hour) and helping when possible at events during the year. As children move on to secondary school we lose a few parents from our committee each year which will eventually result in the loss of the Association unless more parents give a little bit of their time when they can by getting involved. Information Technology is a huge part of all of our lives today and it is very important that our children know what they can do to enjoy using the world wide web safely. To guide our children and us as parents, The Parents Association and Board of Management are jointly funding the workshops and Presentation to equip all of us on Internet safety. We hope to see as many of you as possible on Thursday, 19th at 7.30p.m. Below are some flyers and information about the Presentation — click to download. Please continue to collect the Mighty Milk Mascot tokens and drop to the school office. Next meeting of Parents Association will be on Tuesday December 6th at 8pm. 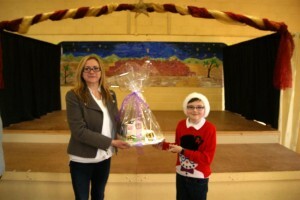 This yea r’s Christmas Bazaar takes place in the community centre on December 11th. The event is being organised by the family resource centre, Bouleenshere and Glenderry school parents association. To support the bazaar, children will be given a sponsorship card to sell. Lines cost €3 for 1 or €5 for 2. Prize­­­­—tonne of coal. Each family will get 1 card to sell. Cards will be distributed to the children on Monday 21st November and must be returned to the school by Friday 2nd December. Proceeds from the bazaar will be divided between the three groups. We would appreciate your support. Note: The next P.A. meeting will be on Tuesday November 15th at 8pm. All are welcome. 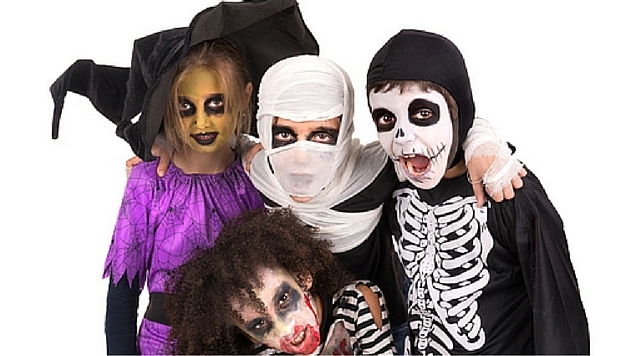 A Halloween Fancy Dress fundraiser by the Parents Association will be held in the sc hool, on Friday 28th October. Each child is asked to contribute €2. Pupils may dress in Halloween outfits or any character they wish. Junior Infants to 2nd class may come to school dressed in their outfits. 3rd to 6th class must bring their outfits in a bag. Please do not allow children to bring any objects, which may be a danger to themselves or others, such as daggers, spears etc. Also, as a result of the media coverage surrounding the current global phenomenon, please do not allow children to dress up as creepy clowns. The AGM of the Parents Association will take place in the School Hall on Tuesday October 18th 2016 at 8.00 p.m.
New members are always welcome and changes in a committee is good for any organisation so if you would like to put your name forward for any of the positions within the committee, please complete the attached nomination papers and return them to the school office before 3.00 p.m. on Friday, October 14th, marked for the attention of the Secretary, Parents Association. 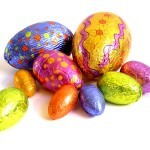 Winners of Easter eggs in the PA class draws on Wed. March 16. J.Infants: Frankie Glennon, Brendan Duggan & Maliky Casey. S. Infants: Jack Flahive, Kyle Byrne & Jackie O’Connell. 1st Class: Nickie Corridor, Makayla Roche & Aodhan Horgan. 2nd Class: Rory O’Halloran, Adam Thornton & Liam Carroll. 3rd Class: Keely Hussey & Will O’ Sullivan. 4th Class: Gearoid Harty & Wiktor Piechowiak. 5th Class: Kate Kenny & Katie Ellen Reidy. 6th Class: Nathan O’Shea, Kayleigh Lawlor & Eric Walsh. The annual Parents Association table quiz was a great success again this year. 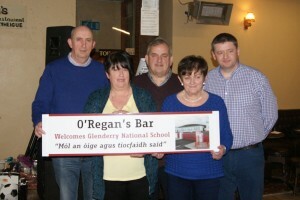 A large crowd gathered at O’Regans Lounge on Friday night Feb 5th for what was a great fun night for all. Kevin Fay was MC for the night and he was his usual professional self as quiz master and entertained the crowd throughout the night, well done Kevin. A huge number of spot prizes were raffled on the night and most tables left with a prize. Competition was hot with general knowledge, dingbats, music and picture rounds with the winning team of Tom Higgins, Noel Casey, Bridie Kenny and Marion Hussey coming out on top at the end of the night. The Parents Association would like to thank all who attended and everyone who contributed to the fundraising quiz. Thanks also to Gearóid O’Regan for hosting the event. For more pics see Gallery/Competitions/Table Quiz 2016. This year the Parents Association are holding the annual fundraising Table Quiz on Friday night, February 5th in O’ Regans’s Bar at 9.00 p.m. We will have Tables of 4 at €20.00 a table with €100 prize money for the winner’s sponsored by Gearoid O’ Regan as well as some great raffle prizes. If you would like to donate a raffle prize or items to make up hampers please drop them to the school office or give to anyone of the committee members before Monday. Over the past number of years the Quiz Night has been a great success as a result of the support of the families, past pupils and friends of the children in the school. All of the businesses in the village were very generous to us last year as we fund raised for our AstroTurf Pitch and we hope that you will once again turn out in force to support the event in our new venue this year. All funds raised will be put to good use for the benefit of our children. Please continue to collect the Lee Strand Mighty Milk tokens and drop them to the school office. We hope to enter their €500 draw over the next few months. 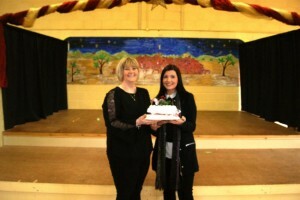 Two beautiful Christmas cakes (made by Bridie Kenny & Judy Cantillon) were raffled at the end of this years Christmas Concert in the school hall, as well as many other prizes for the children. The Cake winners were Emmett Christie and Sharon Lucid (pics below). 6th: David O’Mahony, Jessica Kenny & Jack Stack. We have a couple of Fundraising Events coming up in February and we look forward to your co-operation and continued support in our endeavours to raise money to improve facilities in the school for our children. With the support and commitment of many parents we have raised a considerable amount of money as a result of Bag Packing over the past few years and we are fortunate to have secured 2 days Bag Packing in Tesco, Manor Retail Park on Friday February 13th and Saturday February 14th. While we understand that people are working and life in general is busy we would appreciate a little bit of your time as we will need to fill at least 5 tills at a time over the course of each day. 6.00 p.m. to 7.00p.m. ______ 6.00p.m. to 7.00p.m. Please return form to the school office by Monday February 2nd or phone/text Eileen on 087 0551018. The annual School Table Quiz will take place on Friday night, February 20th in Flahive’s Bar at 9.00 p.m. We will have Tables of 4 at €20.00 a table with prizes for the winners as well as raffle prizes on the night. Anyone wishing to donate a raffle prize can drop it to the school office or give it to anyone of the committee members. This is always a fun night out for families, past pupils and friends so spread the word. The Next Parents Association Meeting will take place in the school on Monday February 2nd at 8.00 p.m.
We have secured a bag packing fundraiser day at Dunnes Stores, North Circular Road, Tralee, on Saturday September 27th. Volunteers are needed from 10am to 6pm. Parents and past pupils(over 14’s) are very welcome. held a Kerry Colours – No Uniform Day fundraiser. All who wore the colours contributed €2 for the privilege. It was a colourful start to the All Ireland weekend. force to support the event. All funds raised will be put to good use for the benefit of our children. Next Meeting of the Parents Association will take place in the school on Monday December 5th at 8.15pm. Next Meeting of the Parents Association will take place in the school on Tuesday November 8th at 8pm. Parents Association AGM will take place on Wednesday October 5th in the school hall. All parents welcome. The meeting will be followed with a talk on Nutrition by Dietician, Sheila King. The Parents Association would like to express their appreciation to everyone who supported the very successful fundraising Table Quiz held in Flahive’s Bar on Friday night Feb 18th. Thanks everyone who donated the many raffle prizes and also to those who gave contributions. The night was a tremendous success with 31 tables participating in 8 rounds of questions set by Breda Cronin and she was ably assisted on the night by quiz master Ger Fitzgibbon. The winning team received specially engraved trophies sponsored by Bernard Lee and a bottle of wine each. The best table name on the night was “Nellie the Elephant “ and they also received trophies for their efforts. Finger food on the night was provided by Mary and Pat Flahive. Many of those in attendance did not go home empty handed and were the lucky winners of the numerous raffle prizes gathered by the committee. A great night was had by all and the children in the school will of course reap the benefits. The Parents Association is the structure through which parents in a school can work together for the best possible education of their children. The Parents Association works with the Principal, Staff and Board of Management to build effective partnerships between home and school. Therefore it is in the best interest of our children that we as parents support the organisation by attending the meetings and supporting fundraising events during the school year. The Parents Association in Glenderry was initially set up in April 2008. Since then the organisation has had a very harmonious working relationship with the Principal, Staff and Board of Management of the School. While the Association does not get involved in individual parenting issues it provides a medium where parents can enjoy the support of other parents and meaningfully support the aims of the school. We meet once a month which is only10 meetings in the entire school year. All parents/guardians are welcome to attend these meetings and share their views and opinions with other parents. We set a diary of the meetings at the beginning of the school year and follow that up with reminder notices which are sent home to parents/guardians via the children. One of our main functions is fundraising and since our inception we have had some very successful events. 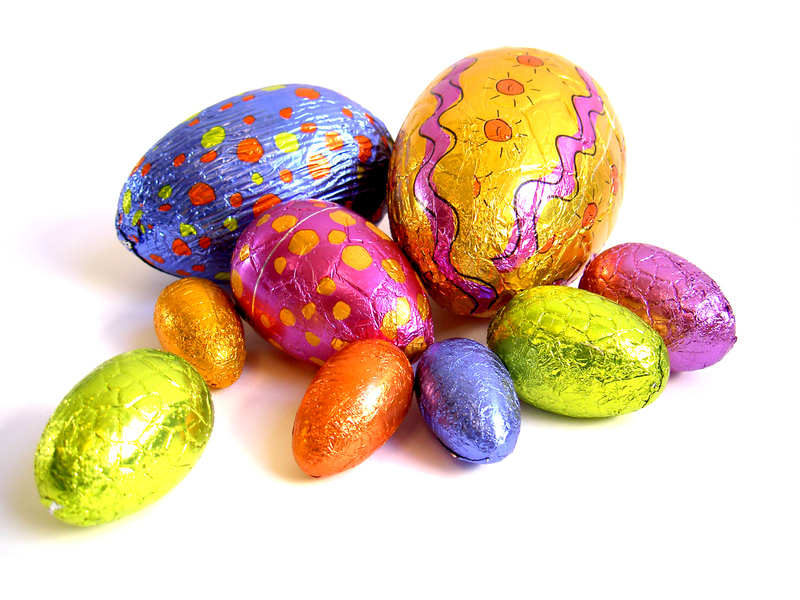 These have included a Race Night, Bring and Buy Sale, Bag Packing, Mobile Phone collection and smaller events such as Jersey Days, Ice Cream days and Easter and Christmas raffles. As a result of these events we have contributed towards the purchase of 5 Interactive Whiteboards for each of the class rooms, purchased 2 visualizers, have contributed towards a new photocopier, lawnmower and storage shed. All of our children have benefitted enormously in one way or another as a result of the Parents Associations contributions. We introduced the end of year School Mass and Graduation Ceremony for our 6th class. This is a very memorable occasion for the children who are moving on to the next level of their education. · Plan and manage the activities of the Parents Association for the school year. The Parents Association can only survive with the support of the parents/guardians at the meetings and the other associated events so we would encourage you to give a little bit of your time – Its all for the good of our Children.